I don’t know if anyone can tell, but while part of America was freezing their heiny’s off on Black Friday, I was cuddled up on the couch ordering everything fabric.com had on sale….or so it would seem. The multi tasker tote by Anna Maria Horner. 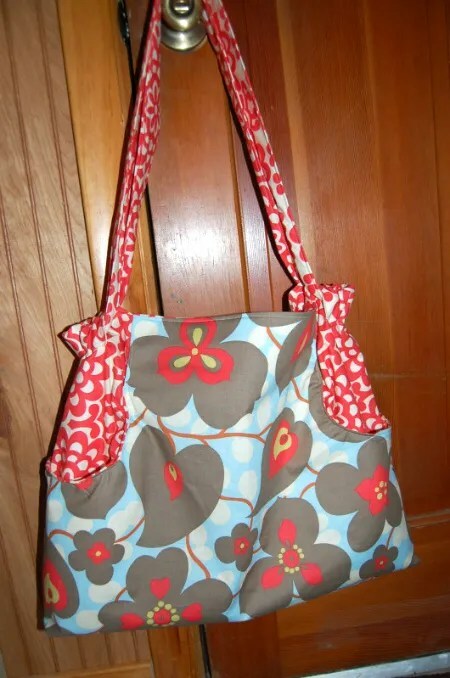 I used Amy Butler lotus prints for the fabric. 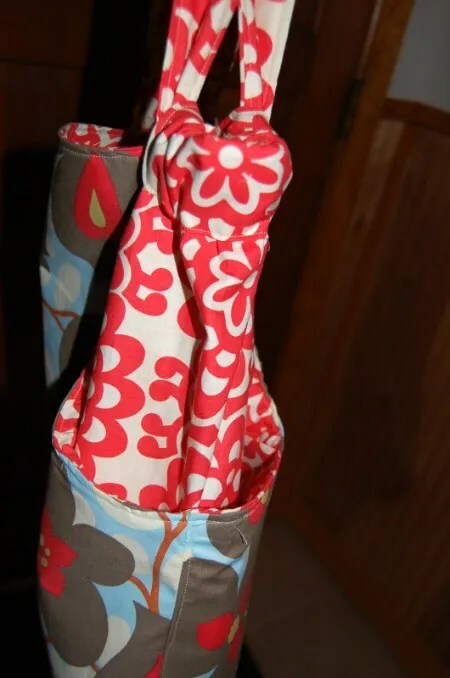 I’ve been wanting to make this for a long time, seeing it on the web, thinking about what a cute and functional purse/knitting bag it would be. As it turns out, this thing is much larger than I had anticipated. It will make an awesome baby bag I suppose. I’m still loving it though, even if it is huge. The only negative I can say for it, is that it doesn’t have a snap close or zipper. 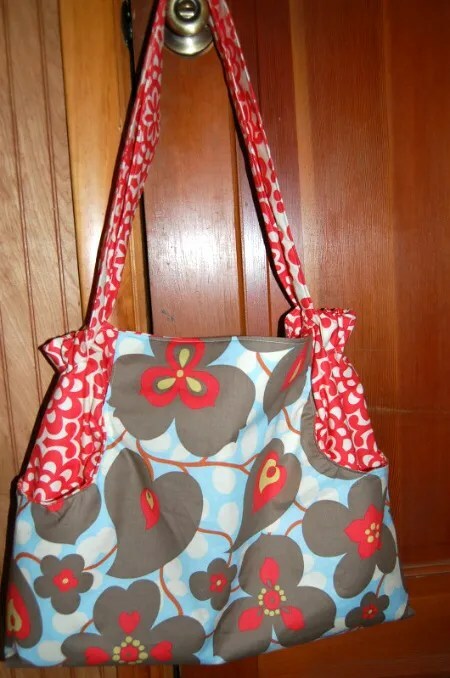 However, it has a lot of pockets, and cute ones to boot. I think I might try to pass it off as a purse until little one makes her debut. love your fabric choice. i'm guessing as a mama there will be many times you will be glad this bag is “huge”. It's a beautiful bag! If you wish, can't you just add a zipper or a buttoned strap to close it more securely?